Fall is coming quick! Is it just me or is anyone else ready for some cooler weather, to get back into routine, and for all of the beautiful colors?! 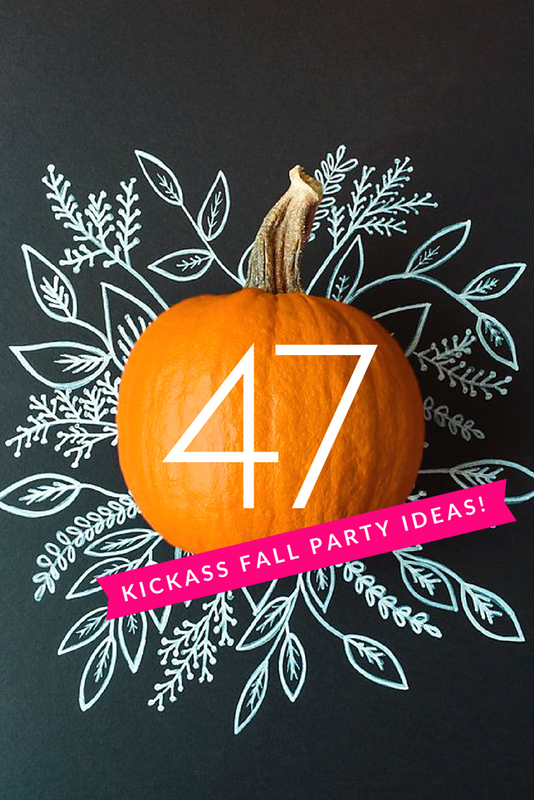 I think it is time to celebrate with 47 kickass fall party ideas. Don’t get me wrong, we definitely had an amazing summer, and enjoyed the long leisurely days, but I am definitely looking forward to school being back in session, extracurricular activities picking up, and all the fun things we have planned for our business this season. A Fire Pit Party is the perfect way to spend a crisp and cool evening in the backyard, looking up at the twinkling stars, and roasting s’mores over the fire with your family and friends gathered close! One of my favorite of the fall party ideas is to host a Fall Hot Chocolate Bar. This could be included at a morning, afternoon, or evening gathering because after all, hot chocolate is delicious any time of day. Calling all foodies! An absolute must is hosting a Fall Food & Wine Pairing Party. 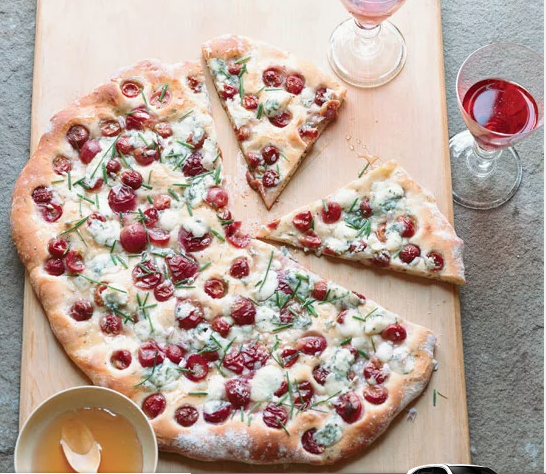 This is a fancy way to class things up and create dishes that pair perfectly with a specific glass (or bottle!) of wine. You can go all out and host it 100% on your own, or do it dinner date style and have each couple bring a dish + paired bottle of wine. There are so many yummy ideas in this post, I can’t wait to try them out! Get ready for all things pumpkin in this fall party ideas list…it’s really the heart and soul of fall if you ask me! They’re great to decorate, eat, and craft with, but this Pumpkin Crumble recipe may just take the cake! A Fall Hay Lounger is a great seating option if you’re hosting a party at home this fall. All you need are a few hay bales + some outdoor pillows and you’ve got yourself an easy DIY couch that’s perfect for enjoying all season long. Need a pretty idea for some gentle lighting that isn’t just a plain store-bought candle? 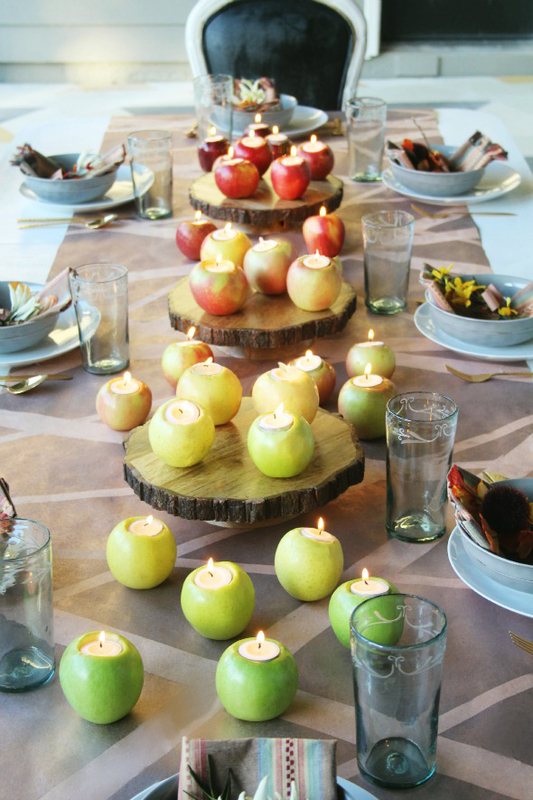 Apple Candles will smell as good as they look on the table, mantle, or scattered throughout your event space. Love how you can use different apple varieties for a colorful rainbow effect! Halloween is fall’s first major holiday, and we know lots of you will be hosting parties to celebrate this day and need fall party ideas marked by costumes and candy. These Halloween Feel Boxes are a silly little game that the kids will love playing and they should keep them entertained before the big night of trick-or-treating begins. I’m a firm believer that a front door is naked without a festive wreath (or other decorative variant…but come on, it’s got to have something pretty!) I’ve gathered a list of 10 Wreaths for Fall that are sure to inspire you to craft something of your own style to hang throughout the season. Some say a party’s not a party without some booze. And while I certainly think there’s plenty of fun to be had without it, a Pumpkin Keg just sounds like way too dang much fun to leave it out. It is one of the fall party ideas we will for sure be doing this season. One of my favorite things to make (and eat) this time of year is chili. I love the scent that fills the house the day I spend cooking it, love that I can make a bit pot to nibble off of all week (hallelujah for leftovers! ), and love that it’s so simple to prepare. A homemade Chili Bar sounds like a simple + warm way to host a crowd, don’t you think? Make sure you’ve got all the toppings because that’s the best part! If it’s nice out, an Outdoor Movie Party would be a great way to invite over some neighbors to enjoy a flick on the big screen. You can use a projector or grab one of those big blow-up screens if you like to do this often. Serve up some kettlecorn, which always makes me think of fall, too! Balloons are some of the happiest things, and they’re more than welcome in my party planning across all of the seasons. 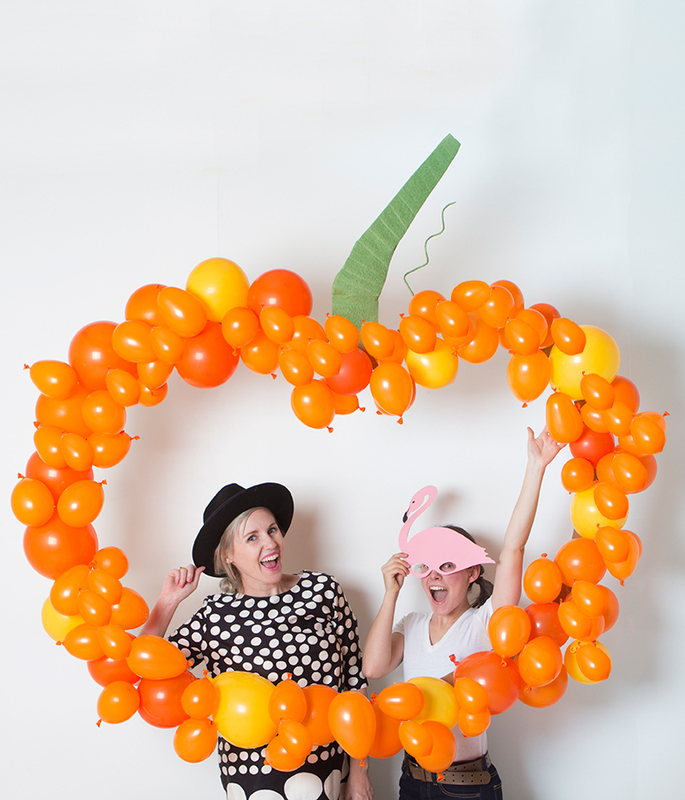 This DIY Pumpkin Balloon Backdrop just couldn’t be cuter for a Halloween photobooth! 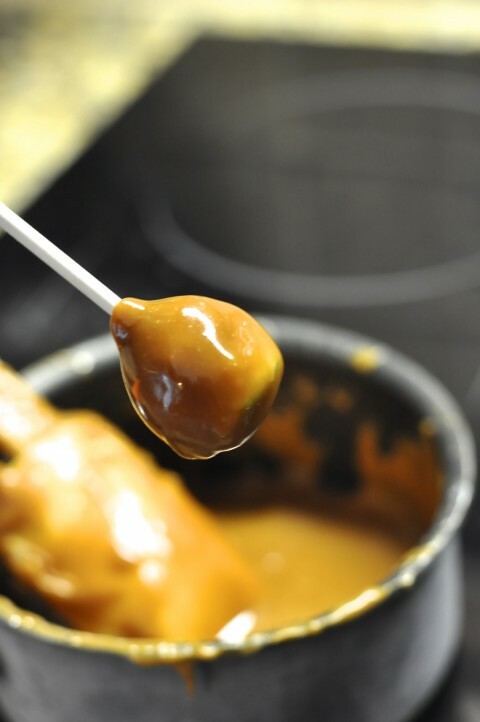 Caramel apples are something I look forward to enjoying every fall. We live really close to some amazing orchards so I love picking up some fresh apples to dunk in caramel. This Caramel Apple Bar is the best way to let everyone at the party pick out their favorite topping! Squash Bowling brings all the fun outside for this fall-themed game! Are you a football fan? Skip the crowd at the game, get a front row seat at home, eat all the game snacks you want, and have fun hosting the ultimate Homegate Party this fall! We’ll share all our tips and tricks here. No table is complete without a pretty and festive centerpiece. 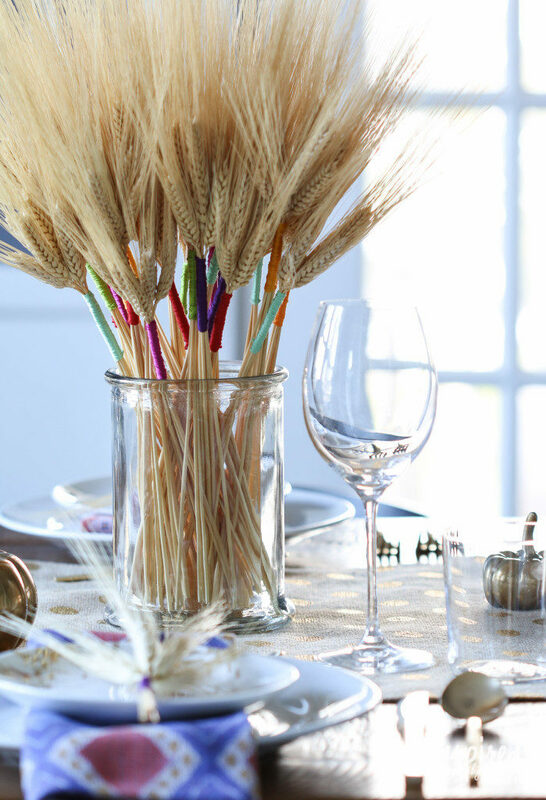 This Color Wrapped Wheat Centerpiece is so gorgeous! Need some appetizer inspiration? Take a peek at these 18 Savory Party Foods for Fall that we hand-picked for the perfect party menu. I’m all about lighting; it sets the mode and tone for the event you’re hosting. These DIY Pumpkin Lanterns are playful and great for an adults-only or kid-friendly party too. Plus, after you make them you still have some reusable paper lanterns to craft up another DIY of choice. Speaking of crafty fall party ideas, why not host a Fall Craft Night? Get the girls together for a night full of all the fall things, DIY style. Sounds like the best kind of party to me! Bode summer farewell with a Final Grilling Party this fall. Host it just when the weather starts to cool off in the evenings, so it’s not too chilly but still feels like fall is in the air. 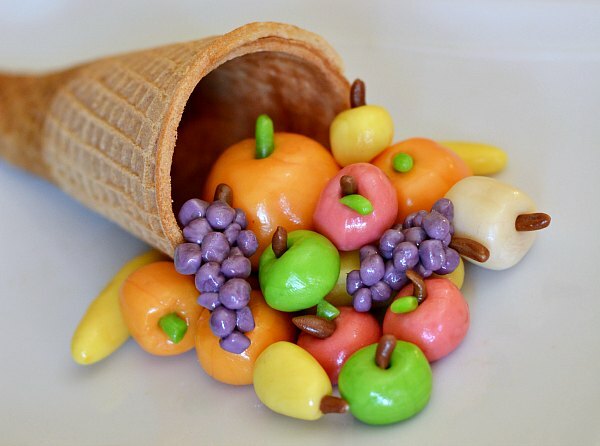 Sugar Cone Cornucopia: traditional fall decor made into something oh so sweet! Apple Pie Jello Shots…because sometimes it’s just more fun to drink your calories. I think we all can agree that a good cake stand is something that everyone should have in their kitchen. After all, life’s way too short not to eat the cake! I love this Pumpkin Cake Stand to celebrate fall! 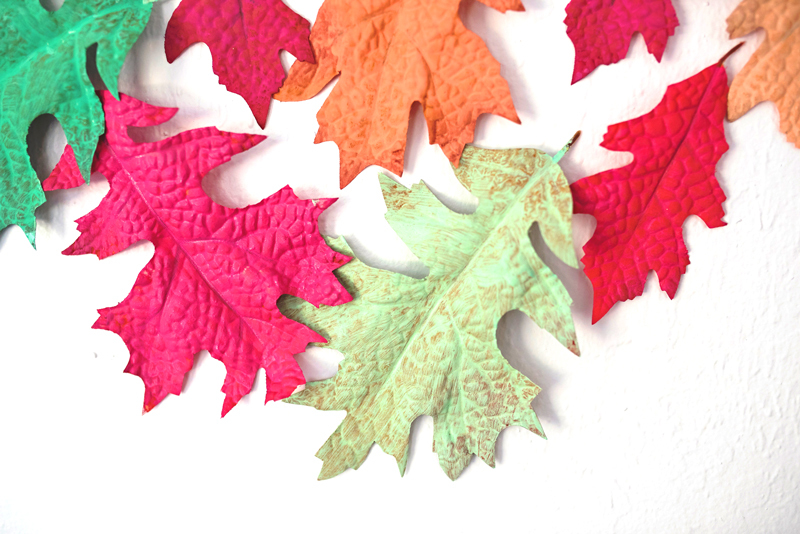 Bright Painted Leaves add fall flair to any gathering. 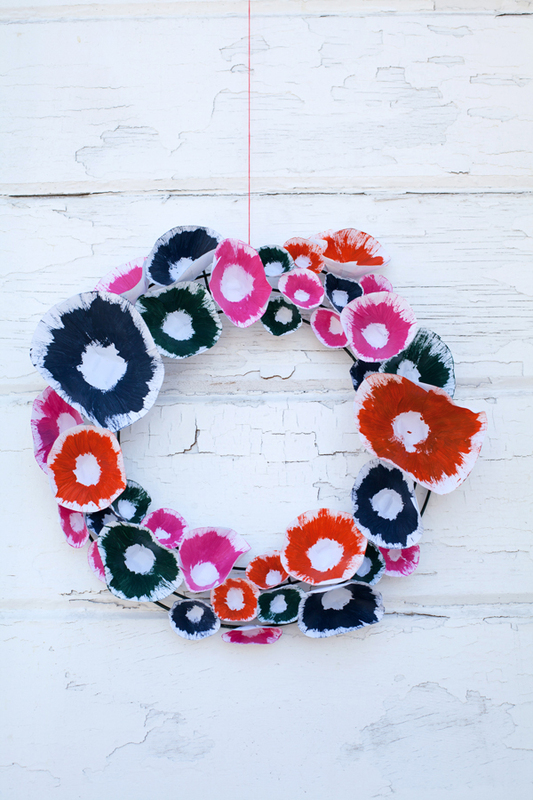 Toss some on the table or string into a garland! Anyone else love the flavors of fall as much as I do? Pumpkin, cinnamon, sage, and spice…YUM! A Flavors of Fall Party is an awesome excuse to pack in as much fall flavor as possible. Flag Football is a great game for the whole family. Try hosting a party to kick off the real football season where this is the main event; make it a friendly competition for extra fun! 25 Cocktails to Make This Fall: there’s definitely something for every palette in this list. From sweet to savory and everything in between, my mouth is watering just clicking through these cocktails and trying to decide which one I’m going to shake up next. Cheers to fall! An Oktoberfest Party is a great one of our fall party ideas to welcome in the season. And you don’t have to be a beer lover to join in on the occasion; this menu features lots of other goodies like soft pretzels and German butter cake…mmm yes! 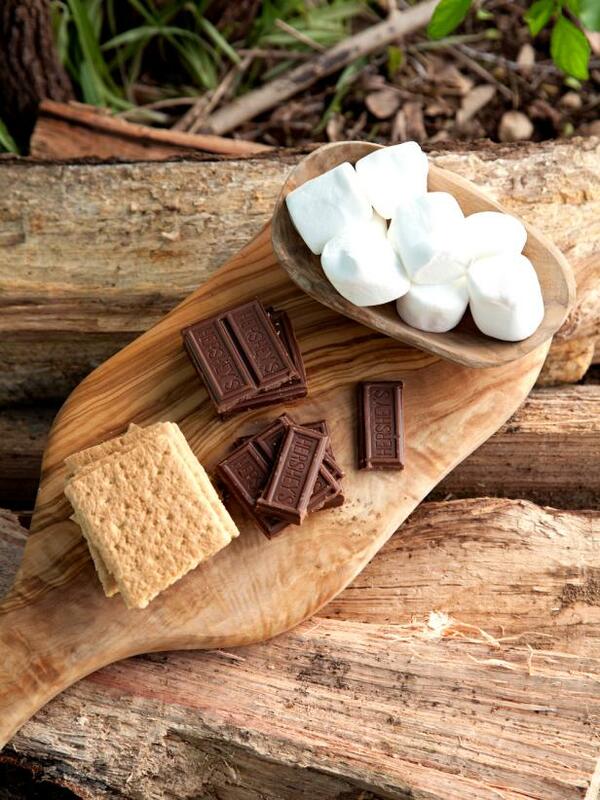 Campfire Party: fake the campground and invite friends over for a night of s’mores, star gazing, and spooky stories! There’s something so comforting about a big bowl of soup when the weather turns. It’s not just delicious, but soul soothing too. I love to cook soup during fall, and especially enjoy trying out new recipes. This year I think I’ll get my girls together for a great big Soup Swap! Everyone can bring their favorite fall soup + some to-go containers and we’ll swap portions + recipes. Hopefully we’ll stock up enough to freeze some too for those busy back-to-school nights where cooking dinner is just not happening. Another fun cooking-style party is to host an Iron Chef competition. I love this Iron Chef Pumpkin idea for the fall! There’s a basket of ingredients to choose from, but the one required inclusion is pumpkin! Make sure to plan this party in a large kitchen so there’s enough prep space for everyone, or you can take turns preparing dishes and enjoy everything in courses. I have lots of Fall Favorite Things. Aka this would be a really easy party for me to host. I mean, what’s not to love, right?! There’s a lot of things you can do with a pumpkin: eat it, carve it, smash it (kid fave! 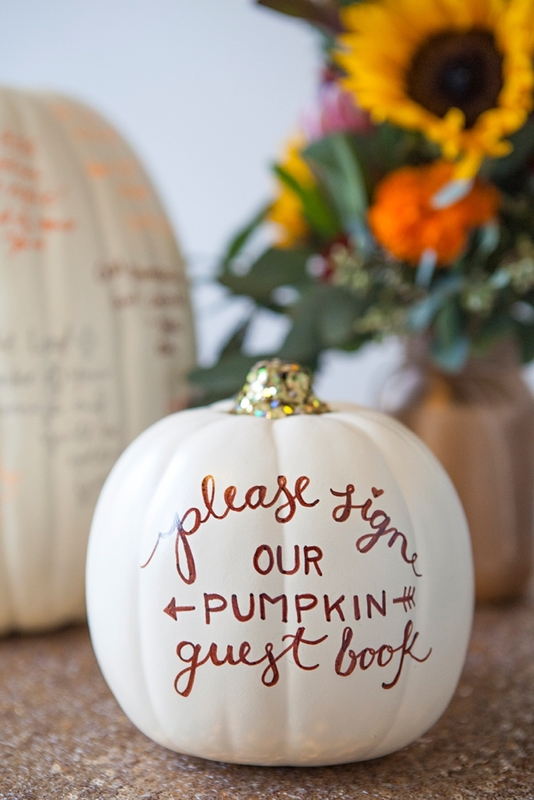 ), but my new discovery is a DIY Pumpkin Guestbook. A fun little way to remember the party plus it”ll double as decor! Since we’re on the topic of pumpkin, try out my Fall Pumpkin Salsa if you plan to host a fall fiesta. It’s so yummy and simple to make too. There’s nothing better than curling up beside a fire with a cozy, soft blanket. I love this DIY Blanket Basket that can be used inside by the fireplace or outside by the fire pit. Either way, it’ll keep party guests nice and warm. A Fondue Party is most definitely on my list for hosting this fall. 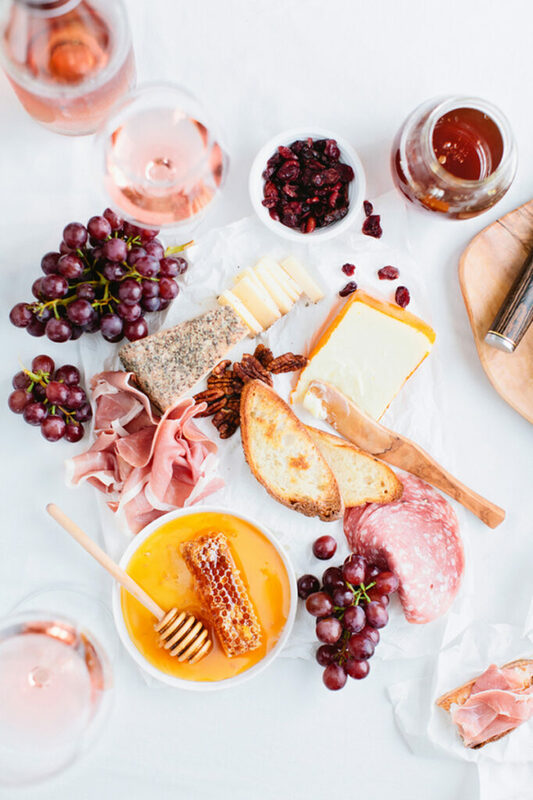 Once the weather is too cold to cook out, I’m picking up some fresh cheese + chocolate + sweet & savory dippers and some good wine to pair, and inviting over my foodie friends for a feast! Pumpkin Golf is a fall-themed yard game that’ll bring lots of laughter and doesn’t take much skill at all! 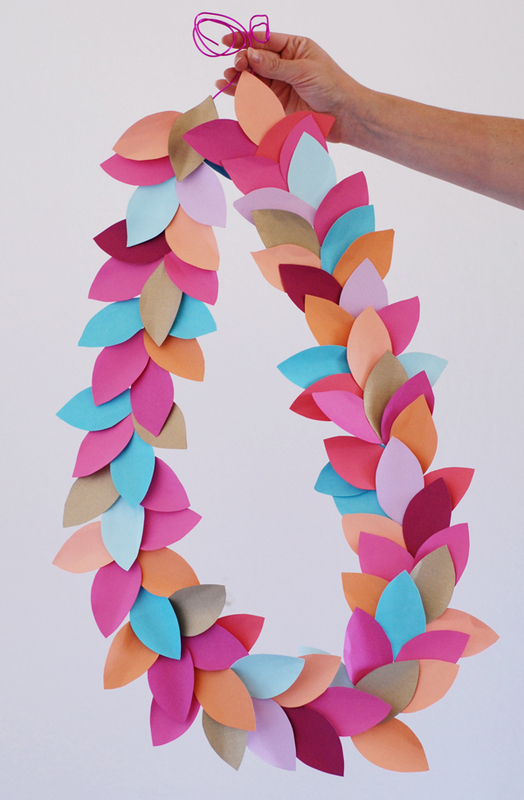 If you’re running low on time but need some bright and colorful decor to liven up your fall fest, look no further than out Paper Leaf Party Garland! Woot woot! A Progressive Leaf Raking Party is the surefire way to guarantee that big pile of leaves gets taken care of, and with a touch of fun! Serve up some snacks at each house to fuel the rakers, and travel from home to home, helping out your pals and getting your yard raked too. Sounds like a good deal! Tailgating is a favorite pastime in the fall. I’ve got some tasty recipes for you to ensure the food can keep up with the fans! 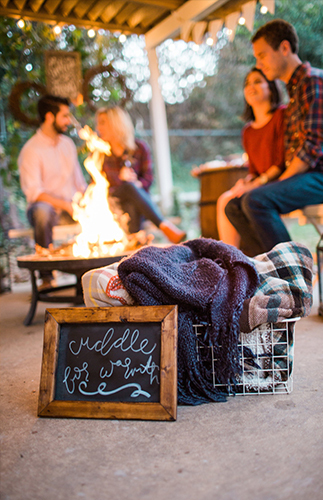 Make guests feel like they’ve traveled Into the Woods for this rustic-themed outdoor party. A Food Truck party is perfect for the host that wants to spend time with her guests rather than be running to and from the kitchen all evening. 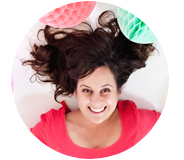 Wouldn’t that be a dream come true…to host a party but not have to do any of the prep work?! With a food truck party, that dream can become a reality. Plus I’m pretty sure your guests will be super stoked to have their favorite food truck ready to serve up some delicious grub…for free! Pumpkin Carving is a no-brainer for a fall party. There are so many fun ways to carve up a pumpkin, from spooky faces to silly shapes, it’s a timeless tradition that’s a must in our house pre-Halloween. A Slow Cooker Swap is the best way to stock up the freezer for quick and easy meals all fall long. Just like with the soup, get the girls to bring over their go-to meals, and spread the love! And finally, possibly one of my most favorite ideas for the fall…a wine tasting party! You don’t have to be a sommelier to enjoy sipping and swirling. I’ve got some Tips for How to Taste Wine to make any newbie feel like an expert. Your secret is safe with me! Happy hosting this fall! With so many reasons and ways to celebrate, it’s sure to be a party all season long!